This time of year, it never ceases to amaze me that just when Halloween has barely wrapped up…Shazam! It’s time to get holiday décor, pictures, cards, and plans all figured out. What happened to Thanksgiving?! A time to be thankful and grateful for all things—big and small. A time of year—a holiday—that is, yes, in November…before December, when we recognize and honor people, places, things, and moments in our lives. For me, Thanksgiving is a time of year to remember to slow down (not because of the tryptophan in the turkey) to truly and openly give thanks for the good, the bad, and the ugly. It’s a time to slow down because I am thankful and grateful to be present with friends, family, and loved ones before kicking it into high gear for whatever holiday hoopla may ensue next. And hopefully, all of the reminders and sentiments of being thankful and grateful will flow over into the holiday hullabaloo, the rest of the year, and into the next year! Between taking care of our families and taking care of ourselves, it can be challenging to remember to hit the brakes and take a moment to sincerely give and receive thanks. So, I want to remind and encourage everyone, including myself, to wholly embrace the season of giving and receiving thanks. That’s right…receiving thank yous because it goes both ways, my dear friends! 1. Susie, a former teacher turned stay-at-home-mom, shows you and your family how to make a Thankful Turkey! This daily thanksgiving activity can be posted on your fridge or somewhere in your home that allows your family to see and share anything and everything they are thankful for everyday. This craft is great for younger kiddos who may have difficulty understanding the abstract concept of thankfulness, by concretizing it into something tangible. 2. Amanda, from KinderArt, shared how you and your family can make a Thanksgiving Handprint Tree. 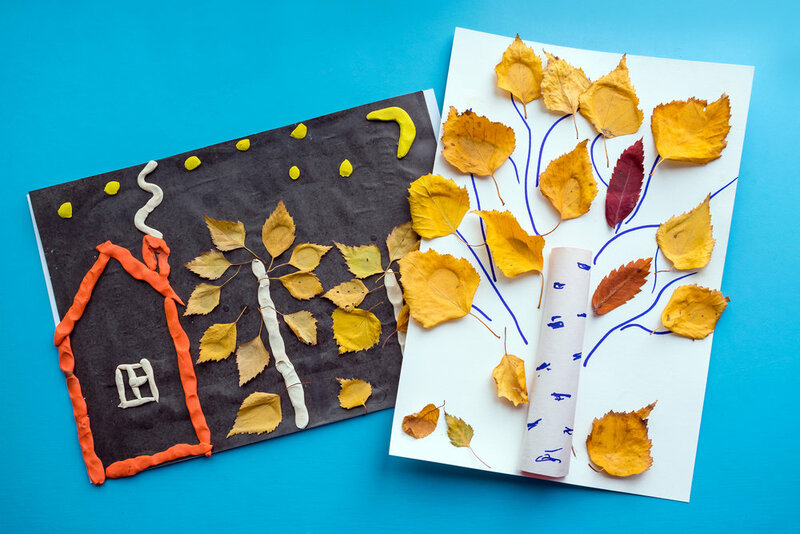 This is a fun personalized craft because you, your kiddo(s), and other family members can use their own hand to create unique leaves of the tree. You can choose to do this craft once, or adapt it to be a daily activity where “leaves” are added each day! 3. Finally, Bren has shared 15 Easy Thanksgiving Crafts that Teach Kids Gratitude! She has broken up the craft ideas into age groups, from preschool to teen, that allow you and your family to learn and practice thankfulness in an age-appropriate way. Of course, the divisions are not set-in-stone, rather the ages for the groupings of activities are suggestive. You might utilize several craft ideas from different age ranges depending on your child’s needs and abilities. I would love to see and hear what you and your family come up with as you learn and practice thankfulness in your home. Please share your season of thanks and gratitude with your thoughts and photos in the comments below!